Usually I find a cute pattern, crochet it, hand it to Lottie then never see it again. I found these when organising her toy chest and was hit with the instant urge to make all of the things! 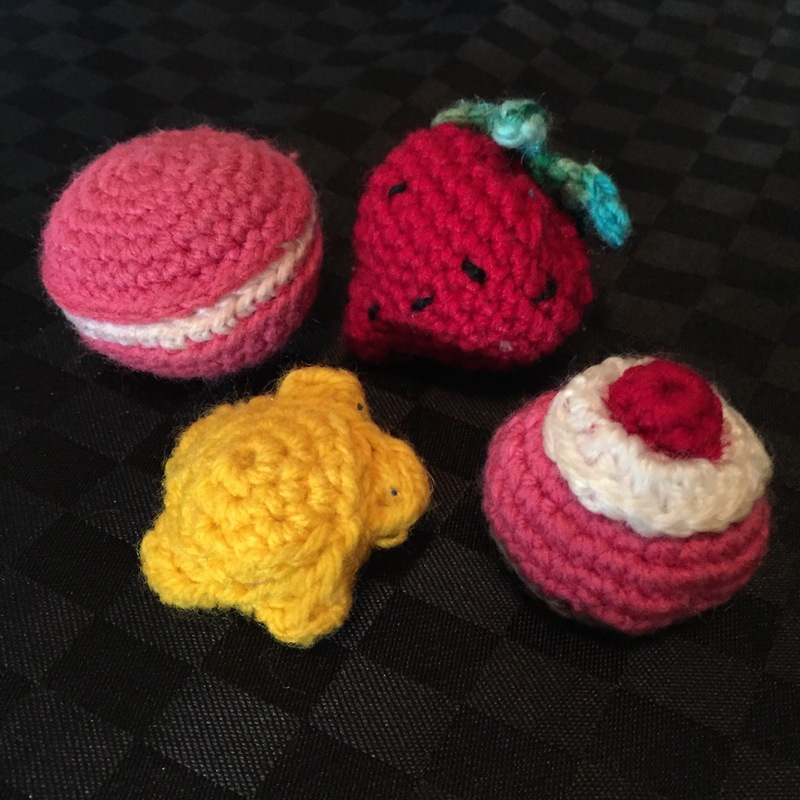 The macaroon is my own pattern, strawberry and cupcake from HappyBerryCrochet and the star was a mix of a Pinterest pattern and my own improvising. Amigurumi is one of my favourite things to crochet as it is usually quick and satisfying. The pieces look polished and adorable when they’re done and they’re just so cute!